The musical legacy of that year is now the topic of an exhibition at UNC’s Wilson Library. 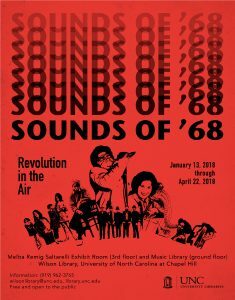 “Sounds of ’68: Revolution in the Air” draws from the deep holdings of UNC Libraries’s North Carolina Collection Photographic Archives, Music Library, and Southern Folklife Collection. It celebrates the recordings and the artists that defined an era. On view are album covers of classic LPs, reproductions of advertisements published in Billboard magazine and Cashbox, and rare photographs of artists such as Johnny Cash, Odetta, and Thelonious Monk during their North Carolina tours. At a listening station, visitors will be able to hear entire songs from selected recordings featured in the exhibition, from Aretha Franklin to Frank Zappa. The exhibition includes photographs from the collections of Don Sturkey, Hugh Morton, and the Durham Herald Sun. 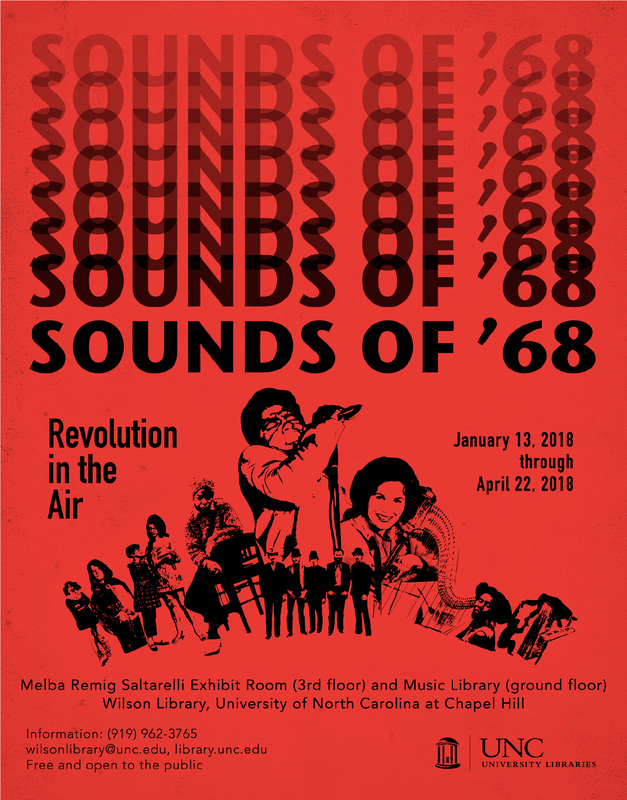 “Sounds of ’68” will be on view through April 22, 2018. It can be viewed during Wilson Library’s regular hours of operation.